Last week the Arizona Board of Regents released a report detailing the catastrophic failure of Arizona high-schools in preparing students for higher education. Specifically the report traced the high school class of 2006, finding that half of the high-schools had five percent or less of students finishing higher education degrees or certificates within six years. A mere 40 of the almost 460 schools produced 61% of Bachelor degrees in the AZ Class of 2006. So, the news could have been much better. Here is the next shoe to drop- things are going to be getting increasingly more difficult in the years ahead. The United States Census has produced population projections by state. Let’s see what the future has in store for Arizona. First a little context. 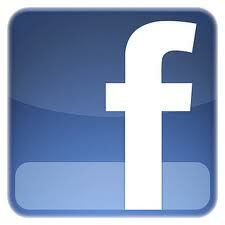 Arizona’s current population is was about 6.5 million in 2012. First challenge- a very large increase in the youth population. The Census Bureau projects a large year by year increase in young people. The Census has projections for the 18 and under population, and also for the 5-17 population. The 0-3 population is generally outside of the pre-school and K-12 system, meaning that the 18 and under population overstates the impact that the increase in the youth population will have on the state budget in 2030. The 5-17 year old figure understates the situation due to 4 and 18-year-old students who will receive either preschool or K-12 assistance. 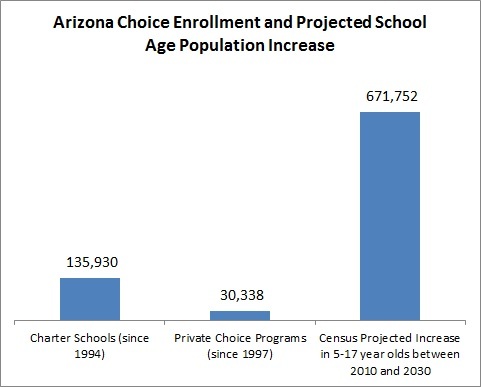 The next chart uses the Census Bureau’s projection for the increase in the 5-17 year old Arizona population, and puts it into context by comparing it to the size of the charter school and private choice populations of Arizona. Arizona’s charter school law passed in 1994, and the scholarship tax credit program passed in 1997. The time between then and now is roughly comparable with the time span between now and 2030. Arizona school district enrollment is set to expand regardless of what we do on the parental choice front, just as it has for the last two decades. In the last two decades, the charter school law has produced a large number of those 40 schools that produced 61% of the BA degrees. In combination with the scholarship tax credit programs and the still nascent ESA program, they have taken the edge off of district enrollment growth in the aggregate. Arizona does have high-quality charter operators who will continue to slowly but sure increase the islands of quality. If the ESA program survives court challenge it may allow for a quicker pace of private choice expansion than the tax credit program. Creative destruction of the sort that might actually close dysfunctional schools, other than charters that fail to launch, is simply not in the cards. The districts full of those 5% and under high schools will be going into the debt markets to build more dropout factories. Or perhaps they will be running double shifts at the current dropout factories, as it will become increasingly difficult to finance new construction. For those of you squinting to read the numbers, that is an increase from 922,000 65+ year olds in 2010 to almost 2.4 million in 2030. So let’s sum up the story so far- Arizona’s K-12 system currently does a very poor job in educating anything more than a thin slice of students. 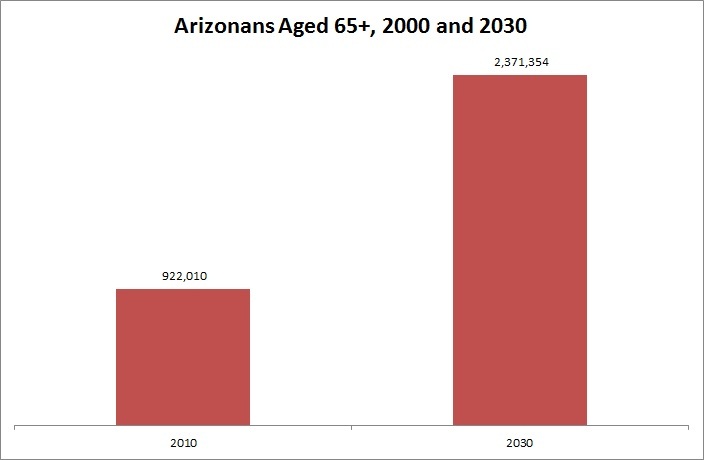 Arizona has a vast increase in students on the way to coincide with an even larger increase in the elderly population. Still with me? Okay, let’s keep going. Demographers calculate age dependency ratios, and economists have found that they predict rates of economic growth. An age dependency ratio essentially compares the number of young and elderly people in a population to the number of working age residents. The logic behind the notion is that young people require a heavy investment in social services (primarily education) while the old also require a heavy investment (primarily in the form of health care and social insurance retirement benefits). From the perspective of a state budgeting agency, young people don’t work, don’t pay taxes, and go to school. Older people are out of the prime earning years, often heavily use Medicaid. An age dependency ratio basically tells reveals the number of people in the young/old categories compared the number of people in neither category (i.e. people of typical working age). Many people continue to work and pay taxes past the age of 65, making it inappropriate to view them as “dependent.” It is also the case however that many people above the age of 19 are still in school and thus are not yet working and/or paying much in the way of taxes. We all probably know hyper-productive 70 year olds and people in their 20s engaged in a six-year taxpayer subsidized odyssey of self-discovery that will not number “graduation” among an otherwise wonderful set of experiences. During periods of prolonged economic difficulties, moreover, it is obviously the case that lower rates of working age people will in fact be working, and thus making taxes. Notwithstanding these important caveats, the broad idea behind age dependency ratios is to roughly assess the number of people riding in the cart compared to the number pulling the cart at any given time. People of course both benefit and pay into these programs at different stages of life, but the current ratios serve as a measure of societal strain. What does the age dependency ratio for Arizona look like? 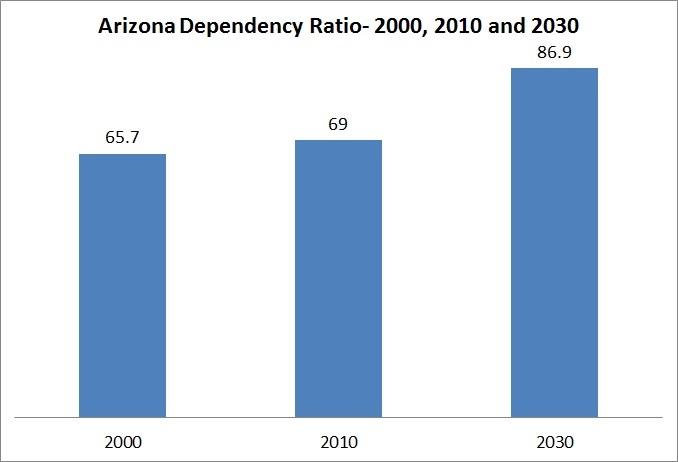 Note that Arizona’s age dependency ratio in 2010 was already among the highest in the country. A social welfare state with 86 people riding in the cart for every 100 pushing it will not compute. 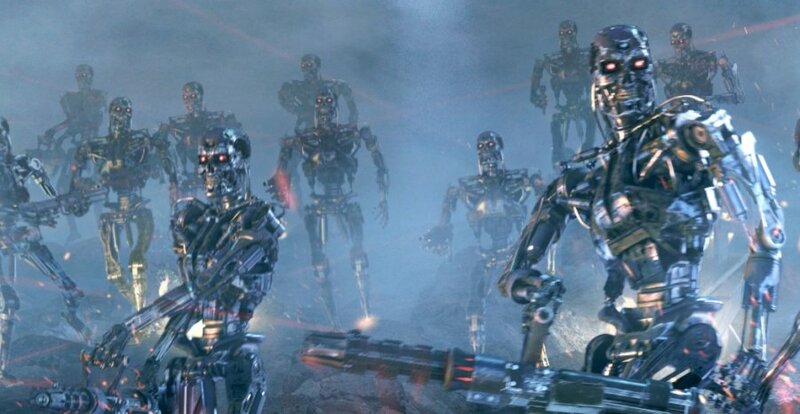 In 2030, the Class of 2006 will be squarely among those expected to push the cart of the Arizona social welfare state. How alarming and unfortunate then that many of them dropped out of high-school, and many more of them dropped out of college. The most immediate way Arizona can help address the looming crisis of 2030 is to get more students educated now. I’m not sure how this plays out. I am certain that we have been thinking too small given the size of our challenges. This entry was posted on Tuesday, November 19th, 2013 at 6:28 am and is filed under charter schools, Education Savings Accounts, school funding. You can follow any responses to this entry through the RSS 2.0 feed. You can leave a response, or trackback from your own site. Something tells me it’s not just Arizona with this problem. If you keep doin’ what you’ve been doin’ don’t be surprised when you keep gettin’ what you’ve been gettin’. I would indeed be very interested in accessing this data to study the results in other states. Surely I can’t get much worse than what we see here. Private, unsubsidized schools as in Mumbai and Kenya. As in The Beautiful Tree. Those would be automatic. No planning required.